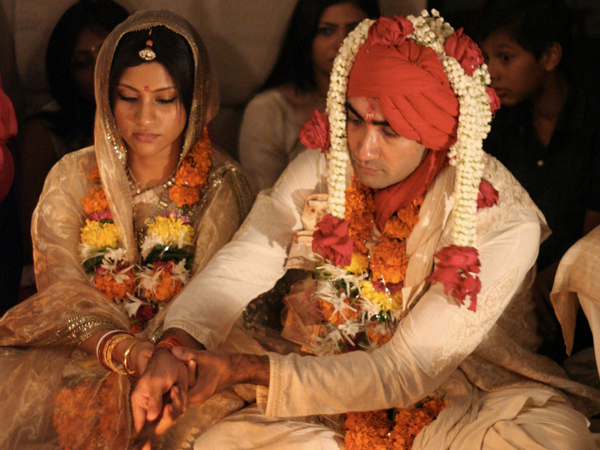 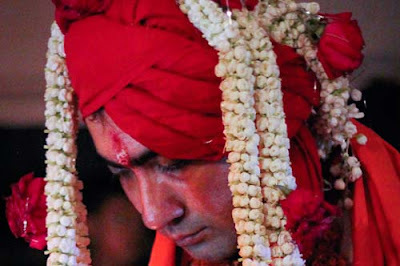 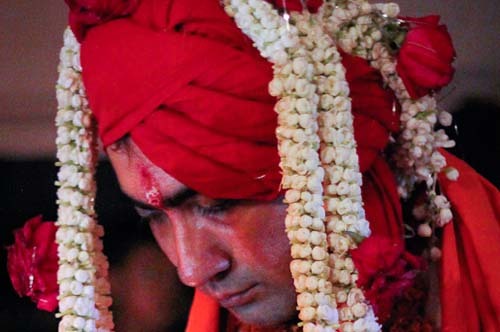 While Konkona Sen Sharma and Ranvir Shorey got married on September 3, pictures of their quiet wedding were released almost a month later. 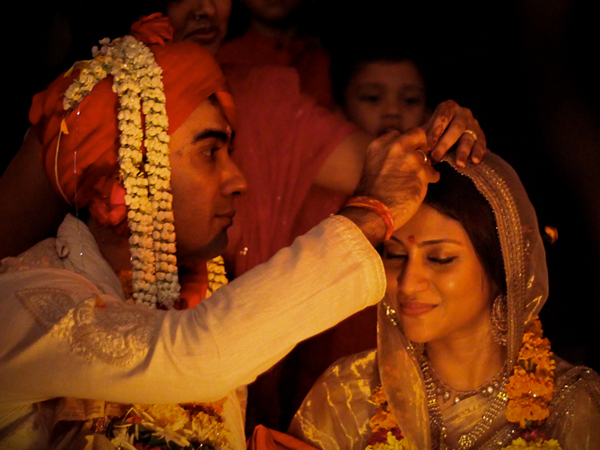 Konkona looked gorgeous in her grandmother's traditional jewellery. 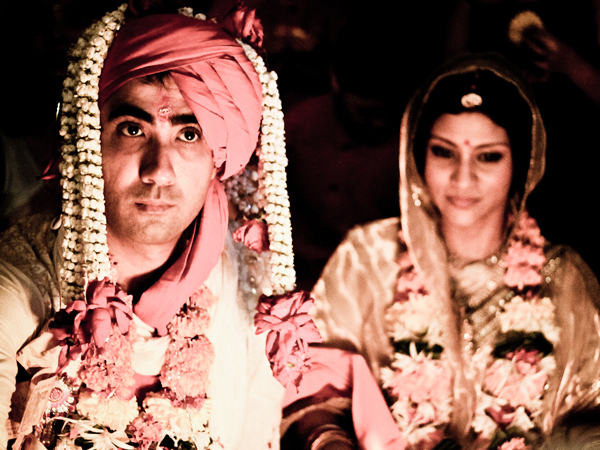 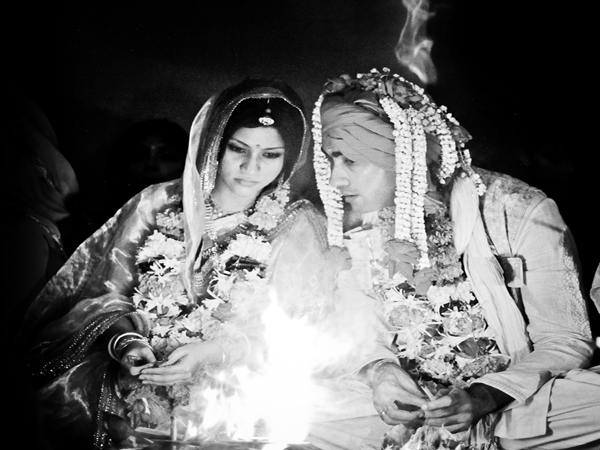 Konkona, 30, and Ranvir, 38, first met on the sets of Mixed Doubles, where they fell in love. 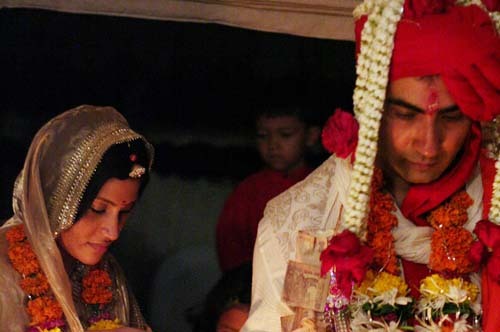 They have acted in quite a few films like Traffic Signal and Aaja Nachle.In 2008, they got engaged in a private ceremony and moved in together. 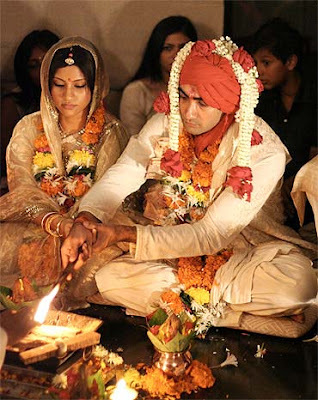 Konkona and Ranvir, who have been seeing each other for a few years now, invited only a few members of the film industry for their wedding. Konkona's mother Aparna Sen came with her husband Kalyan Roy and Konkona's father Mukul Sharma came with his wife Vinita. 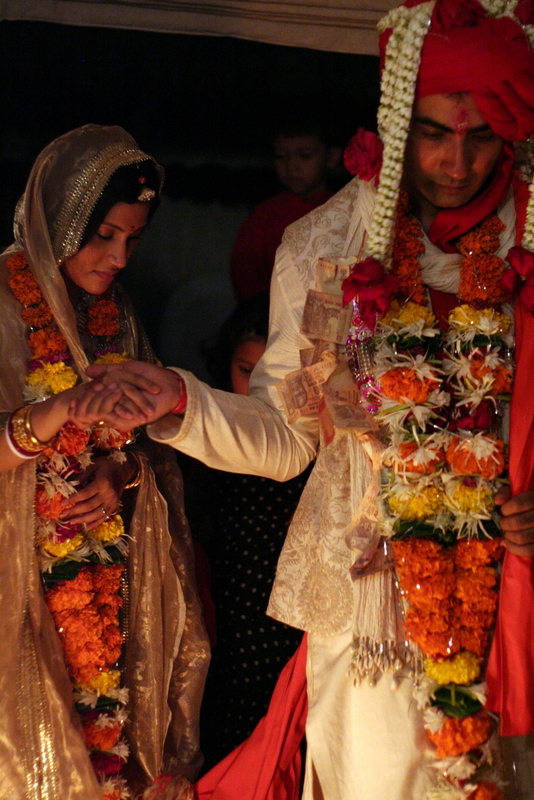 Konkona's elder sister Kamalini Chatterjee arrived from Cincinnati, Ohio, to be with her kid sister.